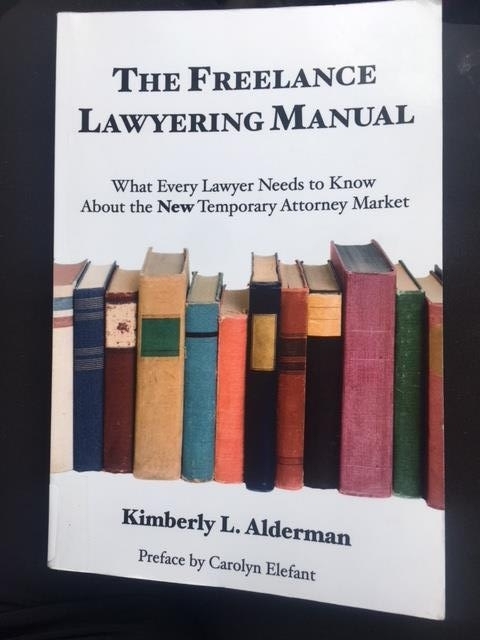 I read Kimberly Alderman’s The Freelance Lawyering Manual: What Every Lawyer Needs to Know About the New Temporary Attorney Market several months ago and recently picked it back up. This book is filled with practical suggestions, real world examples, and valuable insights for lawyers considering starting a freelance law practice and for lawyers who might hire or work with freelance lawyers. After a few years as a stay-at-home mom, I was ready to have a professional presence in my life again. I searched high and low for law jobs that met a few criteria: i) a part-time or flexible schedule to allow me to stay at home with my girls a few days a week, ii) something I could do from my tiny town in the middle of nowhere Colorado, and iii) something that was substantively interesting to me. Unsurprisingly, I didn’t find a multitude of jobs that ticked all of those boxes! I began to reflect on what I really liked to do. For a while, I did a limited amount of contract work for my former employer. I drafted memos and pleadings and did legal research. I loved it. It was a serious lightbulb moment when I realized I could build an entire practice based on this type of contract work! I started to research a freelance legal services business model and I came across The Freelance Lawyering Manual. This book was exactly what I needed to take the plunge and start my own solo freelance practice. The book is organized into three sections: Part I, What Freelance Lawyers Need to Know; Part II, What Hiring Attorneys Need to Know; and Part III, Issues of Joint Concern: Ethical Requirements. In Chapter 1, Ms. Alderman discusses the freelance legal market. This chapter contrasts the hit the legal industry took with the 2008 recession with the growth of the freelance economy. This book is from 2011, so some of the discussion is a little dated. The gig economy, however, has continued to expand and has made serious inroads in the legal profession. I think that there is a tremendous untapped market in the legal profession for freelance legal services. Chapter 3 is called “Getting Started” and covers some of the basic investments you should make in a freelance law practice, such as phone, email, legal research platforms, entity formation, licensing, etc. This chapter really offers practical advice for a lawyer considering what it takes to effectively work in this type of practice. From a technological perspective, there are more options and more ways to leverage technology than were readily available in 2011, so the reader should take some of the suggestions with a grain of salt. Even with this in mind, freelance legal practices must effectively use technology to meet and connect with attorney clients. Chapter 4 covers the financial aspect of a freelance law practice. As with the previous chapter, this is chock full of practical advice. Freelance lawyers have a wide variety of motivations for seeking this practice and have a really wide range of income requirements. This chapter helps potential freelance lawyers evaluate their overhead, profit margins, and billing rates, and make a decision as to whether this business model will really support their financial goals. Chapter 5 discusses marketing a freelance law practice. 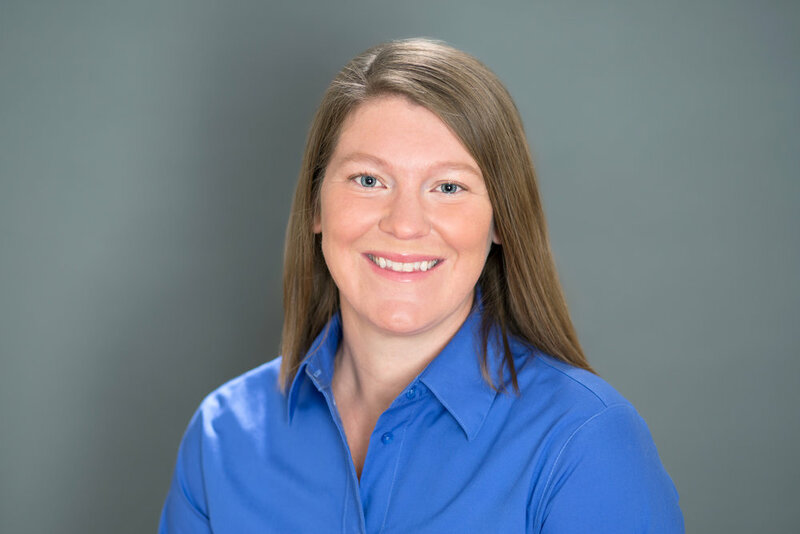 As I have found to be true from my own experiences, Ms. Alderman suggests that the single most effective marketing tool is in-person networking. She provides some great examples of networking opportunities, some of which I have taken advantage of to good effect. This chapter also covers advertising, social media, and other aspects of marketing. This chapter is a little weak on using social media to connect with other lawyers. Since this book was published in 2011, Facebook, LinkedIn, and Twitter have exploded in growth and lawyers and law firms are consistently using those platforms to advertise and communicate about their traditional law practices. If your clients are other lawyers, you need to be where they are—both in person and online. I have joined many Facebook groups focused on lawyers—groups on motherhood and the law, groups on women-owned firms, groups on lawyers of a particular political or religious bent. I don’t use these contacts to “sell myself,” but they are a great source of referrals and a way to connect with other lawyers. Chapter 7 discusses the actual practice of freelance law. It covers client communication, file maintenance, and some of the administrative aspects of a law practice. If you have a strong background as a solo or small firm practitioner, you probably already have a good grasp on these issues. If you’re considering coming into freelance law from a different practice setting, this is really helpful information. This chapter is supplemented by material in the appendix such as engagement letters and sample contracts. Part II shifts gears from advising freelance lawyers to advising hiring lawyers—that is, those lawyers who are interested in using freelance legal services to support their practices. I am so glad that Ms. Alderman included this perspective in her book. She notes that it is a ‘plain truth’ that lawyers need to be educated about the opportunities, limitations, and ethical considerations of this business model, and I have found that to be true. I spend a good deal of time and effort in providing that education to potential clients through blog posts, articles, and presentations. Chapter 8 focuses on the risks and rewards of using a freelance lawyer. In my experience, time management is the biggest reason that hiring lawyers consider using a freelance lawyer. This chapter covers the issues of practice management as well as revenue and specialization. Chapter 9 walks a potential hiring lawyer how to find, evaluate, and hire a freelance lawyer. It discusses screening and supervising lawyers, pay rates, and managing the hiring lawyer-freelance lawyer relationship. Freelance legal services are an underused option for solos and small firms, and my experience is that once a lawyer establishes a relationship with a freelance lawyer they trust, they’ll keep using this service. But they have to connect with the freelance lawyer in the first place! Chapter 10 covers client relations between the hiring lawyer and their client. This chapter explores disclosure to the client and the financial arrangement between the hiring lawyer and their client for freelance legal services. Part III explores the ethical issues surrounding freelance legal services. Hiring lawyers need to be educated about freelance legal services as a business model and practice setting, but they also need to be educated about the ethical issues that they need to keep in mind. A savvy freelance lawyer will research and understand their jurisdiction’s rules or ethics opinions as they relate to various aspects of freelance legal services. I have prepared a CLE presentation, bar association articles, and an ‘orientation letter’ for potential lawyer clients, all focused on the ethics of freelance lawyering. This section offers good, if general, advice and identifies some of the ethical concerns that both the hiring lawyer and freelance lawyer should anticipate. Chapter 11 deals with supervising the freelance lawyer. It offers suggestions on how to select competent lawyers, provide feedback and set parameters for legal work. Chapters 12-15 cover the ethics issues most central to freelance legal services: confidentiality, malpractice concerns, screening for clients and preventing imputed conflicts, and billing for freelance work. Again, lawyers should consult their state’s ethics rules, disciplinary rulings, and ethics opinions for current ethics obligations. These chapters help lawyers identify potential issues and explains how the American Bar Association Ethics Opinions have treated various issues. This book was a revelation for me. It was a serious lightbulb moment when I realized lawyers were practicing law using this freelance model. This book was a wonderful resource and gave me the tools and confidence I needed to make the plunge and set myself up for a growing freelance law practice. I highly recommend it to lawyers thinking about either providing or using freelance legal services. As we are still early in the new year, I want to take a moment to reflect over the last year. I started Coleman Law in late September 2017. I formed Coleman Law to do what I love best—help lawyers with their legal research and writing needs. I work with lawyers and clients across Colorado to provide alternative, low-cost representation on a freelance or contract basis. I chose this business model for several reasons. First, I truly enjoy legal research and writing. It is the part of the practice of law that I like best. I want to invest my professional energy in continuing to develop these skills. Second, I love supporting other lawyers and helping them sustain and grow their practices. I often work with busy solo or small firm practitioners, especially in rural Colorado. I understand the unique challenges of solo/small firm practice because I have been there myself. I know that they're busy, they're really busy. These lawyers do not have someone else in the office to help moderate their workflow. I can add value by giving them the option to add capacity to their practice without the long-term commitment of adding another employee. Finally, I chose to provide freelance legal research and writing services because it offers me the opportunity to balance my professional life and personal life. I get to practice law from paradise, Crested Butte, and still be a stay-at-home mom (most days). I feel very fortunate indeed. In 2017, I exceed my goal for pro bono hours. I volunteered with Colorado Legal Services San Luis Valley virtual legal aid clinic and worked with a public interest organization. I look forward to continuing to provide pro bono representation in 2018. I also assumed responsibility for coordinating the Gunnison County Inns of Court, our local bar association. I took over from my mentor and former employer, Luke Danielson, who served as coordinator for many years. I want to use this forum to highlight access to justice issues and resources for rural practitioners. I gave a CLE presentation to my local bar association on the Ethical Considerations in the use of Freelance Legal Services. I will be sharing this presentation with other bar associations and writing an article for the Colorado Lawyer on this topic. As I look back over the last year and the formation of Coleman Law, I realize how privileged I am to practice law. I am thankful for the incredibly decent and generous people in this profession. I am excited about the prospects for “serving Colorado clients, supporting Colorado lawyers” in 2018. Over the next few months, I am going to be writing about freelance legal services, virtual practice, and the legal landscape of rural communities. In the meantime, this is an excellent post on how freelance legal services fit in to the emerging gig economy. In this penultimate post, I discuss the hiring lawyer’s supervisory obligations with respect to the freelance lawyer. As discussed in previous posts, the level of supervision that the hiring lawyer exercises over the freelance lawyer is important in several respects, including whether: 1) the hiring lawyer must disclose the use of the freelance lawyer to the client, 2) the hiring lawyer can impose a surcharge for the freelance lawyer’s work, and 3) the hiring lawyer can disclose confidential client information to the freelance lawyer without client consent. But what does supervision of a freelance lawyer really entail? Colorado Rule of Professional Conduct 5.1(b) states that “a lawyer having direct supervisory authority over another lawyer shall make reasonable efforts to ensure that the other lawyer conforms to the Rules of Professional Conduct.” Thus, if a hiring lawyer exercises supervision over a freelance lawyer, the hiring lawyer should take measures to ensure that the freelance lawyer observes the duties of competency, loyalty, confidentiality, and other ethical obligations. · Ask about the freelance lawyer’s measures to ensure confidentiality. · Be available for the freelance lawyer to ask questions, brainstorm, and discuss the matter. Most hiring lawyers hire a freelance lawyer to help with workload management. When a hiring lawyer selects a competent and experienced freelance lawyer, the supervisory obligations should not be unduly onerous. The benefits of supervising or adopting the freelance lawyer’s work pays off in that the hiring lawyer can mark up the freelance legal services. In the last post in this series, I will discuss fee agreements with freelance lawyers. Of course, rules and ethical obligations may vary by jurisdiction, and this post does not constitute legal advice.